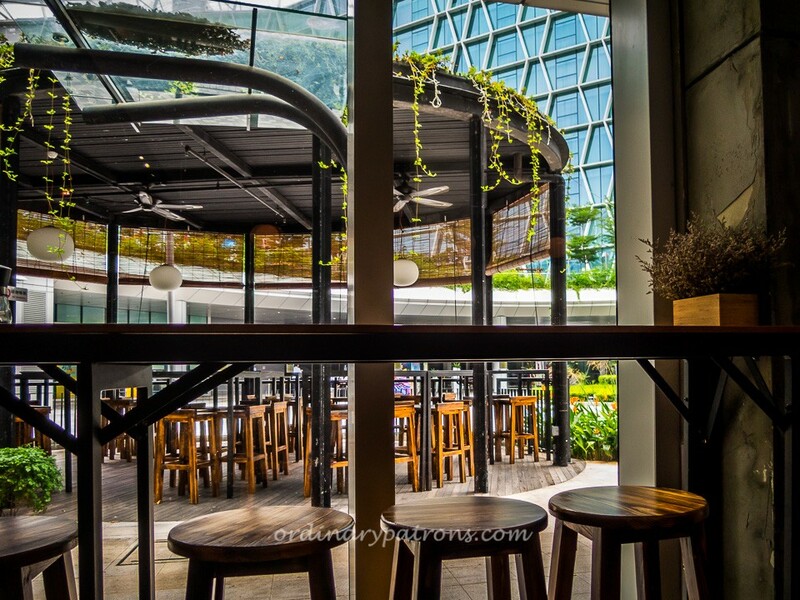 Lavaedge Restaurant & Bar is located in The Oasis @ Changi City Point. It is just opposite the Capri Hotel and at the edge of the dining compound just outside the main shopping mall. It is a good place for hotel guests and office workers in the area for casual meals or drinks in the evenings. They have reasonably priced set lunches as well as an extensive drinks list. Changi City Point is located in Changi Business Park, directly opposite the Singapore Expo MRT station. The mall serves the residents of Simei, Bedok and Tampines as well as those working in the business park. It has landscaped green areas around the mall and The Oasis is a little green compound which allows the restaurants and bars there to have extended outdoor seating. 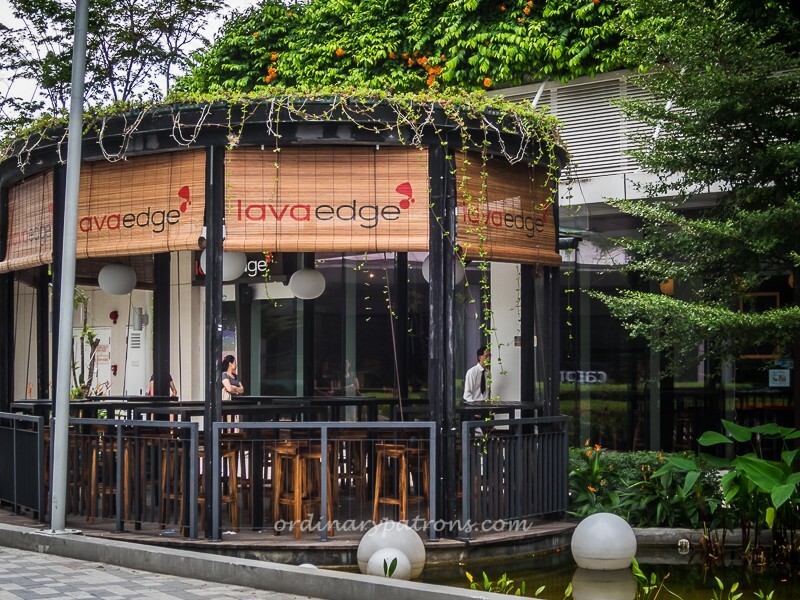 Lavaedge at The Oasis has an outdoor pavilion seating area with greenery and water providing a tranquil backdrop. The indoor dining area has a simple modern casual look. 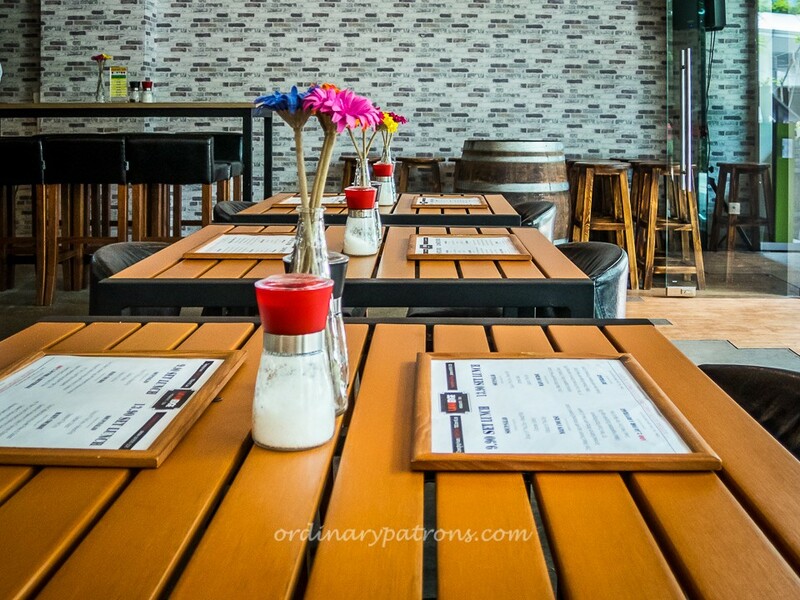 There are tall stools at the bar as well as at the counters lining the glass panels, and comfortable cushioned chairs at the tall tables and dining tables. There is a small corner set up for live performances, or perhaps for amateur karaoke singers. They offer a 2-course set lunch at $13,90 which comes with beverages as well as a set at $9.90, plus $2.50 if you want a drink included. Both sets allow you to choose a soup or salad as the starter and to choose the main course. 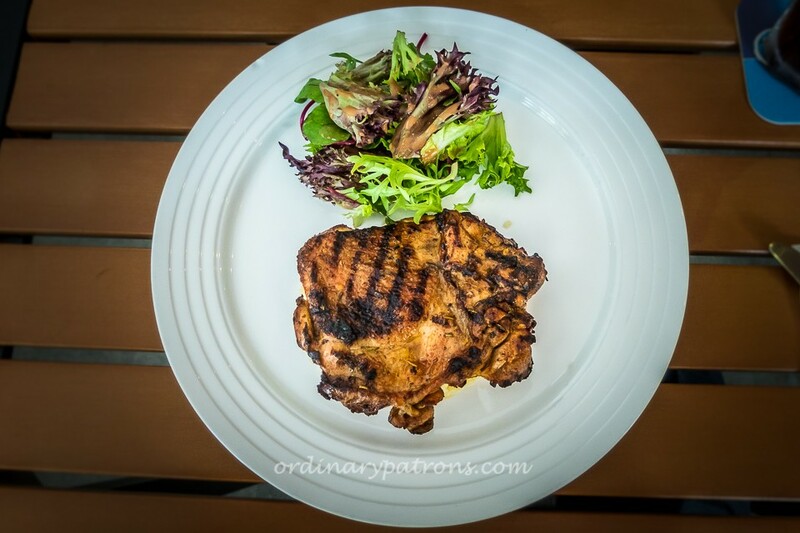 I opted for the lower priced set and selected the Salad of the Day and the Char Grilled Chicken Leg. 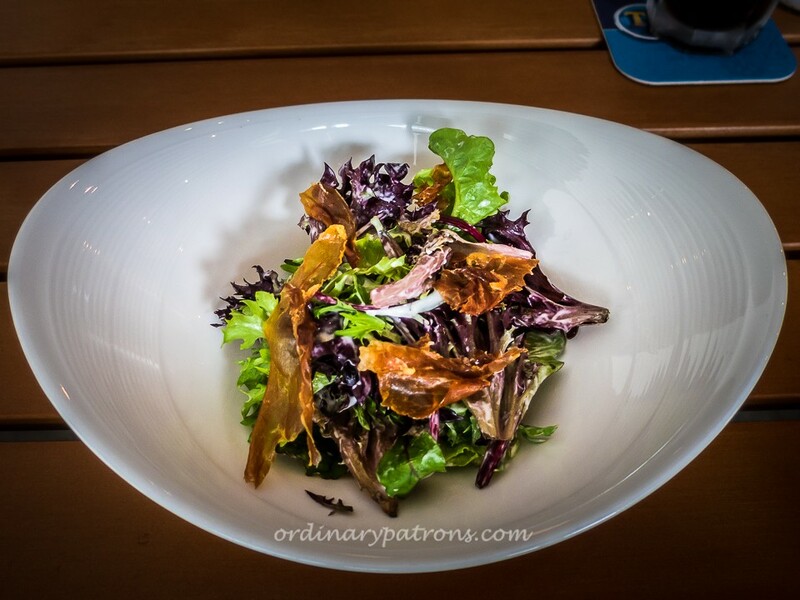 The salad was nicely presented and came with thin slices of Spanish ham. It has a nice texture and tasted fresh and good. The chicken was well grilled and presented on top of a bed of mashed potatoes. 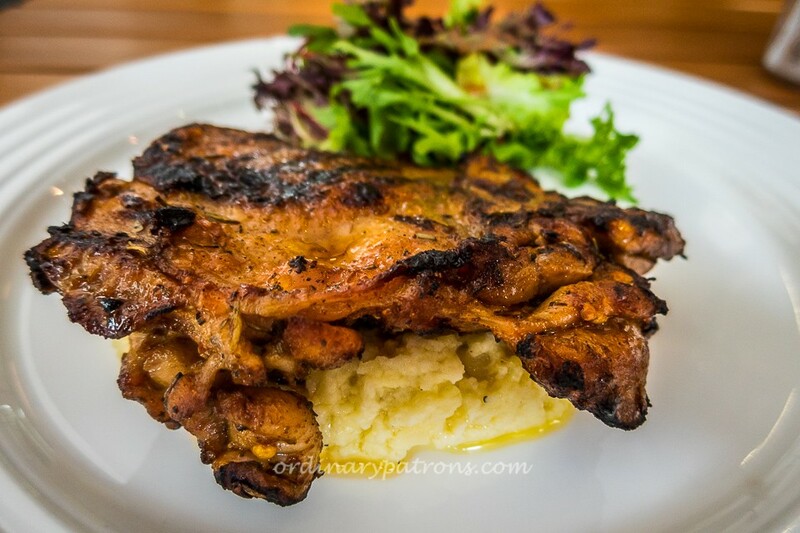 Beneath the grilled skin, the chicken was moist and succulent. The portions were of reasonable size and the meal on the whole was satisfying and enjoyable. 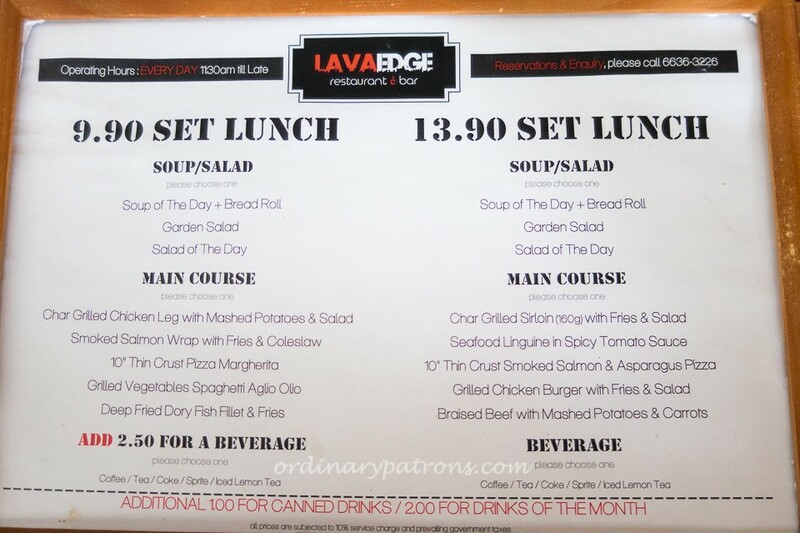 Lavaedge provides fairly good quality food in a nice environment at reasonable prices. 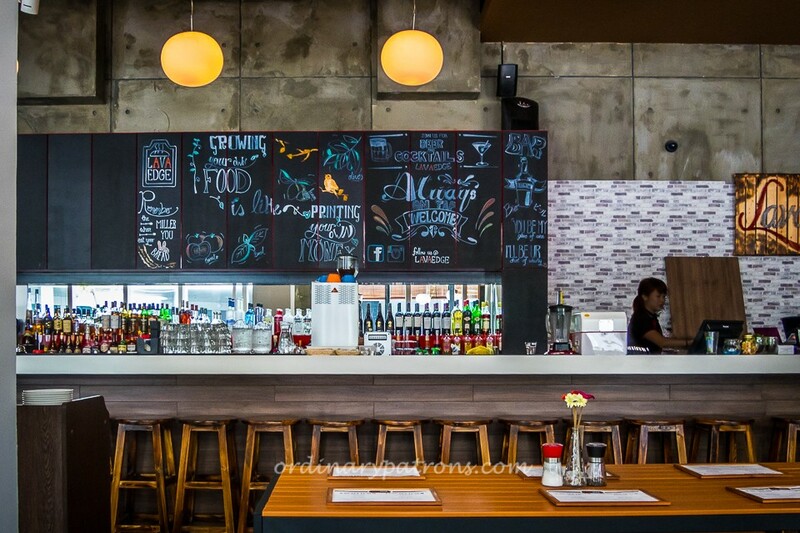 Besides the set menu, Lavaedge also offers a range of snacks, pasta, pizzas and desserts. The pasta Crabmeat Linguine is said to be very good. Their signature dessert is of course the Chocolate Molten Lava Cake, served with Vanilla Bean Ice Cream. Their drinks are also competitively priced. A glass of wine starts at $5 and so does a bottle of beer. There are cocktails at $10. The variety of beers available includes Sol, San Miguel, Kirin, Jagermeister and Erdinger. Whiskey, Vodka, Tequila, Rum, Gin and more are served. It should be easy to be happy at Lavaedge.